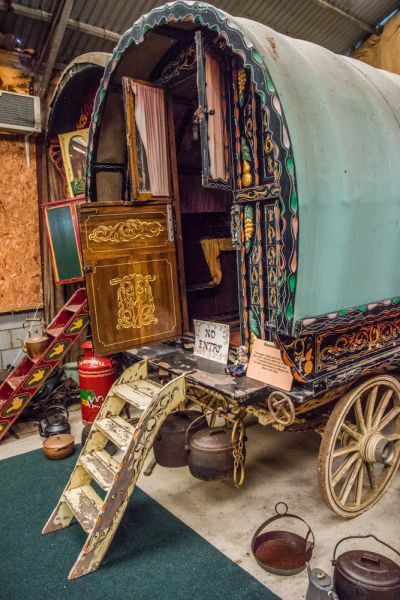 The Gordon Boswell Romany Museum, on the outskirts of Spalding, offers an unusual collection of Romany horse-drawn caravans and carts. 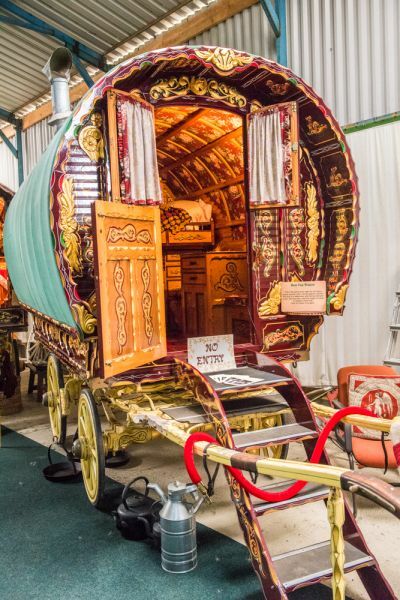 In addition, there is an exhibition on the Romany way of life, plus tools, a fortune-telling tent, cooking utensils used over an open fire, and a wealth of old photographs. 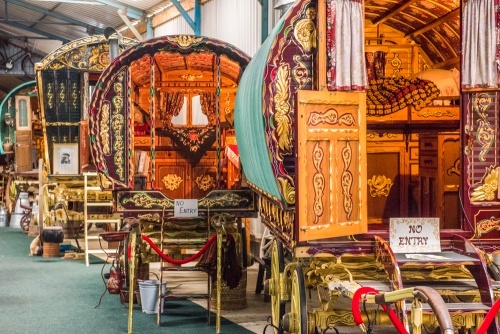 Visitors see lovingly restored gipsy wagons and carts, and watch a video of Gordon talking about the traditional Romany way of life and how he built the collection over several decades. 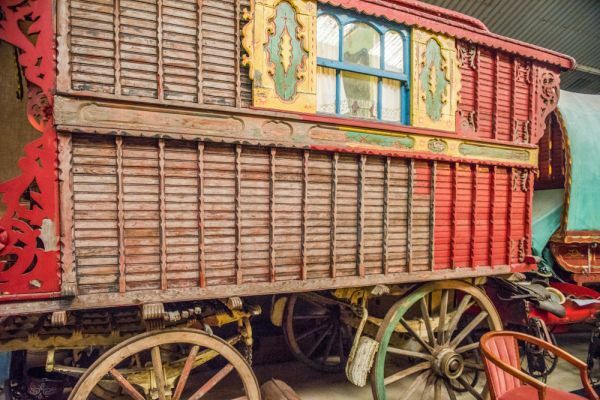 The Gordon Boswell Museum holds the largest collection of Romany Vardos (traditional painted wagons) in the world, and is the largest museum of Romany history. Old photos and sketches go back over 150 years. See a slideshow about the journey from Spalding to the popular Appleby Horse Fair in Cumbria, and see a collection of old family photographs illustrating the Romany people and lifestyle. Visit the stables and see the hoses that pull the wagons, and have tea and biscuits with the museum owners. For a slight extra charge you can have a guided tour of the museum collection. 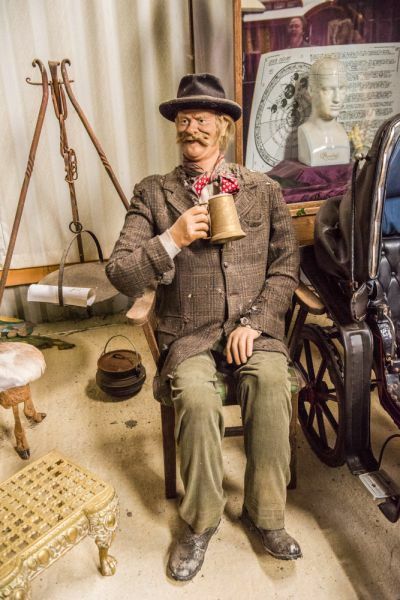 This is much more than a museum, however; you can take a 7-mile ride in a horse-drawn Romany Vardo, stopping to make a traditional stick fire and cook a steak in Romany fashion. Enjoy the slow pace and traditional Romany meal before harnessing up the horses for a leisurely return trip. 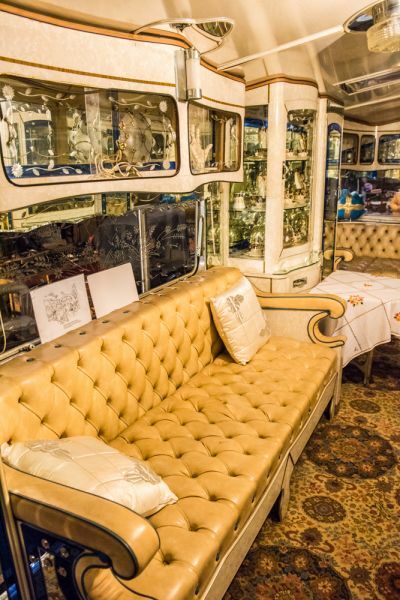 As an alternative, visitors can enjoy a shorter 1-2 hour carriage drive, experiencing for themselves the slow pace of life enjoyed by Romany people over centuries. The museum has featured on numerous television programmes over the years, including appearances on the History and Discovery channels. This small wagon was owned for six decades by Oscar-winning actor Sir John Mills. It lived in Mills' garden and was used by his wife Mary as a writing shed. After Mills' death in 1990 the wagon was sold and restored. During the restoration wok a coat of arms was revealed under a layer of paint. The arms was verified by Buckingham Palace as being Queen Victoria's personal coat of arms. It isn't yet clear what the connection is to Queen Victoria but investigations are ongoing. This vardo (wagon) was used by a female author as a writing retreat. It is said to be haunted by the ghost of a little girl who sits on the rear steps playing. Visitors to the museum have reported seeing the girl, when there was no reasonable explanation for her presence. We approached the wagon with some trepidation but did not see any ghostly little girls playing. 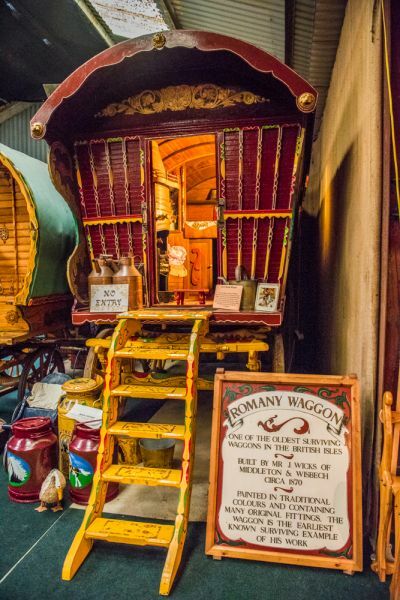 Dubbed 'Romany Waggon', this brightly painted traditional wagon is one of the oldest in Britain. It was built by Mr J Wicks of Middleton & Wisbech around 1870. It contains many original fittings. 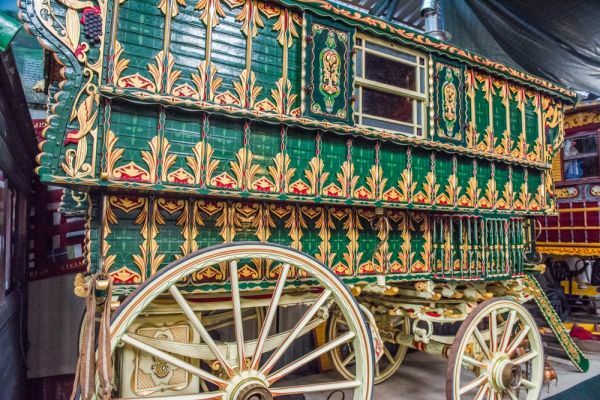 The owners have used this traditional vardo to travel to the annual Appleby Horse Fair in Cumbria. It was built by Peters of Longton. Not all the wagons on display are traditional horse-drawn wagons; there are also several custom-built trailers. One example cost £1000 per foot to build and is decorated inside with a staggering amount of cut glass. The wagon weighs 8.3 tons and was probably made in the early 1970s. 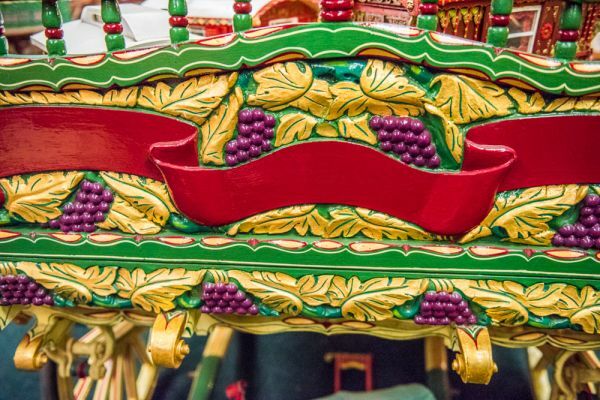 We came to the museum on a cold and dismal rainy day in summer, and the brightly painted Romany wagons helped add welcome colour to an otherwise grey and drab day. We were saddened to learn of Gordon Boswell's recent death but we had a lovely chat with his wife as she gave us an overview of the collection highlights and then left us to explore on our own.